One of New York City’s major subway lines connecting Brooklyn and Manhattan will be out of commission for months, maybe years, and some residents are preparing for an end-of-days scenario. A few enterprising New Yorkers have proposed a gondola, but building it will be nearly as pricey and time-consuming as the subway repairs. The city needs ideas for getting people over the East River, fast. Here are a few inspired ones. As Gothamist reports, the Van Alen Institute hosted an “L Train Shut Down Charrette” last weekend, an infrastructural hackathon where architects and engineers threw together proposals for averting a complete metropolitan meltdown when the L train closes in a year or so. 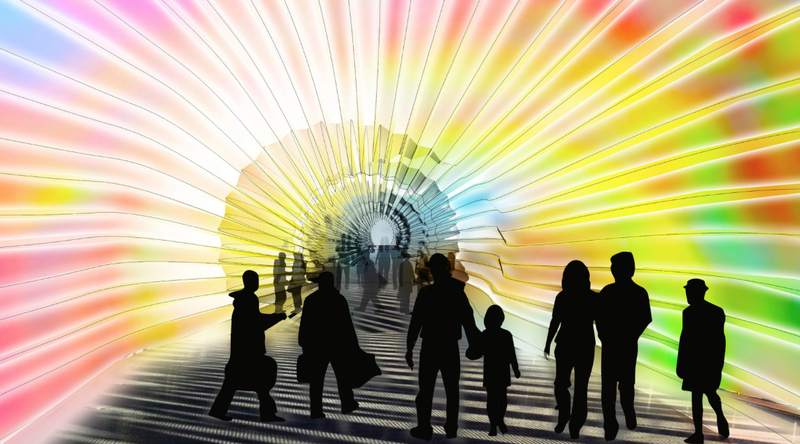 One of the most compelling ideas is called the Light Transporter (get it, the L is bolded?) which would would provide a poofy temporary pathway for New Yorkers to get from Williamsburg to Lower Manhattan on foot. Engineers from AECOM say that the inflatable bridge would be sturdy enough to bike through and the interiors would be programmed with interactive graphics to help people forget they’re walking across a major waterway on what’s essentially a giant balloon animal. 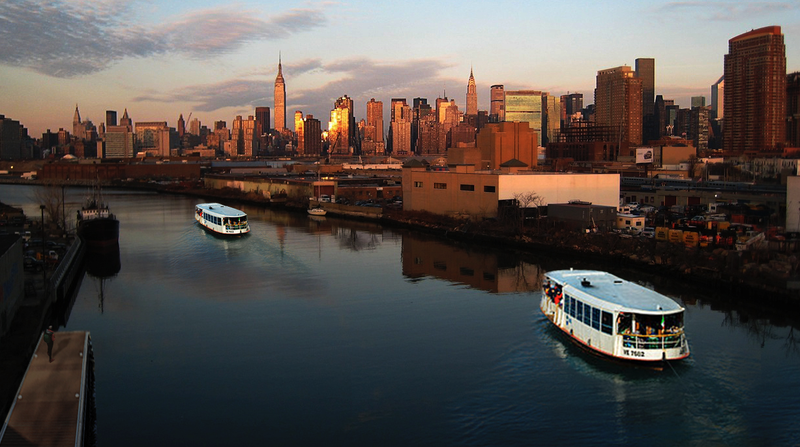 The winning idea by Youngjin Yi and Dillon Pranger is actually a bit simpler: A fleet of “water shuttles” that would travel frequently on local waterways, not just between Brooklyn and Manhattan but also on smaller creeks and canals throughout Brooklyn and Queens. This would create a completely water-bound transit system, much like the vaporetto in Venice, Italy. 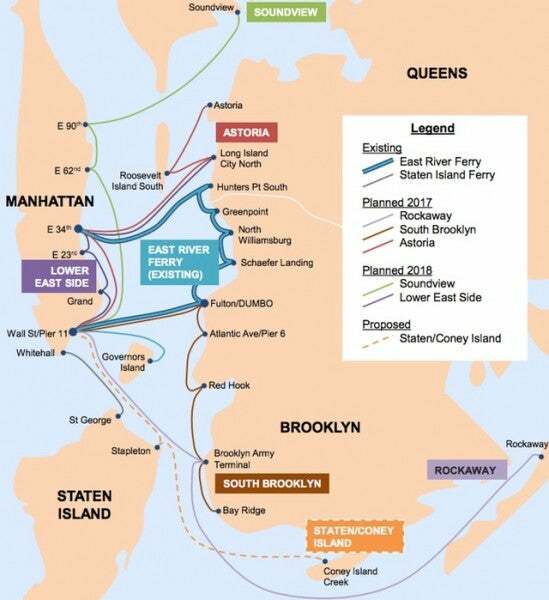 This proposal is actually much closer to what the city will end up doing, as Mayor Bill de Blasio this week announced an enhanced network of ferries that will help to alleviate commuting problems for all five boroughs.